Construction of the city’s planned 22-story tech hub near Union Square can move forward, now that the project has secured $120 million in construction financing. 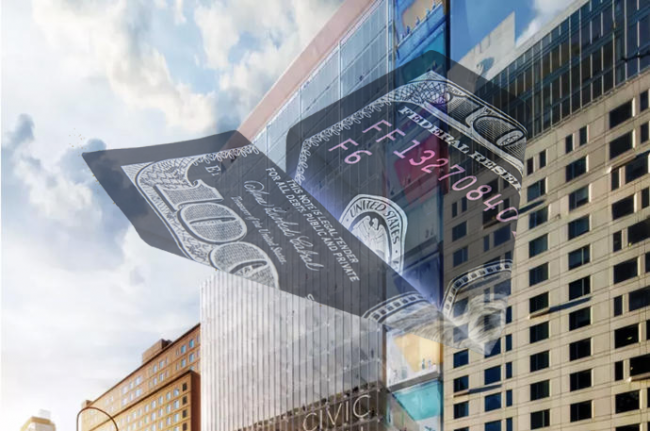 Bank OZK provided the debt for the Union Square Tech Training Development Center to the project’s developer, RAL Development, according to property records filed Thursday with the New York City Department of Finance. The lender declined to comment. RAL did not immediately return a request for comment. The project is a partnership between the New York City Economic Development Corporation, RAL and Civic Hall, a technology-training nonprofit that will be the building’s anchor tenant. The center will provide development and training for those in the tech industry, along with “step up” office space for growing companies and office space for more established firms in the industry. The project’s goal is to help foster the city’s tech ecosystem and create 600 “good-paying” jobs, according to the EDC. The city agency filed plans for the project at 124 East 14th Street last year. It’s the site of a former P.C. Richard & Son building. The project, which got the final green light from the City Council over the summer, hasn’t been without controversy; for example, some community groups including the Greenwich Village Society for Historic Preservation have voiced opposition to the project over concerns of overdevelopment in the neighborhood.